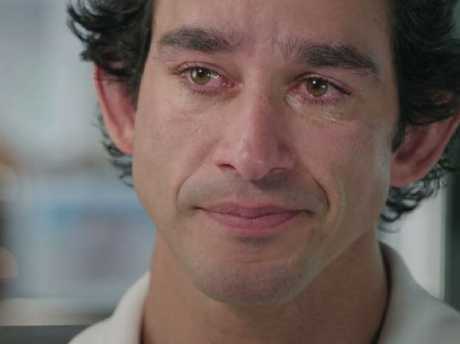 IN an emotionally charged tell-all interview with Channel 9's 60 Minutes, Johnathan Thurston has recalled the most harrowing moment of his time in the NRL. Thurston's fabled career began halfway through the 2002 season, when he made his official debut with the Canterbury-Bankstown Bulldogs in round 13. After spending three seasons and a total of 29 games with the Bulldogs, Thurston made the move to join the North Queensland Cowboys, where his career blossomed. Thurston's name will go down in the annals of NRL history as one of the best to ever play the game, but his dream almost never came to be. Told repeatedly throughout his junior years he was "too small", "too skinny" and "not fast enough", it was the constant rejection that drove him to remarkable heights. "Just made me more determined and made me put the blinkers on and not let anything get in my way," Thurston said on 60 Minutes. Thurston played a part in the Bulldogs claiming the 2004 NRL premiership, before making his way north to join the Cowboys. But prior to the team taking out the title, controversy rocked the Bulldogs and "threatened to end" Thurston's career. The scandal saw Bulldogs players accused of sexual assault after a night out in Coffs Harbour in 2004. The Director of Public Prosecutions ruled there was insufficient evidence to launch a prosecution. No charges were ever laid and all players cleared of any wrongdoing. But that didn't stop people assuming the players were guilty, because nobody ever came out and defended themselves. Thurston says he and his teammates were following advice from the club to not address the incident, but that he wishes he could have. "That's the advice that we had been given," Thurston said. "Everyone was tarnished with these allegations. "It was a traumatic time for everyone. Obviously, the victim at the time and certainly the club at the time as well. "I wish we could have come out and cleared our names straight away, because everything was consensual at the time. "Speaking about it is quite difficult knowing that my daughters will probably see this when they're older - and having to sit down and explain to them what is my side of this story is going to be tough." Thurston breaks down over the phone call that shook him to the core. As tough as that moment was, it was four years later that the legend was rocked to the core when he was on tour with the Australian team. Thurston and his teammates were preparing for a clash against Fiji when he received the toughest phone call he's ever received. "Getting the phone call from Samantha, that my uncle had been murdered in a park ... yeah, that was extremely tough, tough phone call to receive," Thurston said, before breaking down. "I'm sorry … I've never spoken to anyone about it. This is the first time I've spoken about it so it's just bringing all those memories back." They were sentenced for crimes ranging from striking Mr Saunders with a hammer or paling, to stomping or punching him, to being party to a joint enterprise with the consequences of his death. "I know he woulda been up there smiling down, proud as punch." Johnathan Thurston breaks down during emotional interview. Through all of the ups and downs he's faced, family has always been the backbone for Thurston throughout his career. And it was Sam who was there for him when his life had crumbled in 2008. The two met in Townsville after an encounter at a bar and Thurston was determined to win her over. "He did wear me down. It took about 12 months but in the end I caved, which he told me I would the first time we met," Sam said. After calling time on his remarkable 323 game career, Thurston has opened the JT Academy and the couple will soon welcome their fourth child. A player who will long be remembered as one of the toughest to ever step onto the field, almost never came to be. Thankfully through every bump, Thurston's strength prevailed.